My workshops are all about expanding your knowledge of the art of landscape photography while having a great time in beautiful locations. I've had the privilege of guiding many people from all over the world on photography workshops the past 10+ years. Many have come back for multiple workshops to experience different seasons and for time below the rim and on my river trips. Read what they have to say in my workshop reviews! 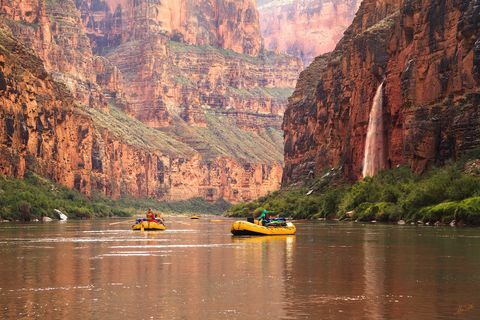 Join us for the adventure of a lifetime as we spend 18-days rafting 225-miles of the Colorado River through the Grand Canyon! I have designed this experience with photographers and artists in mind. We will visit and photograph numerous locations including waterfalls and slot canyons. This workshop is scheduled to coincide with the full moon at the Grand Canyon. 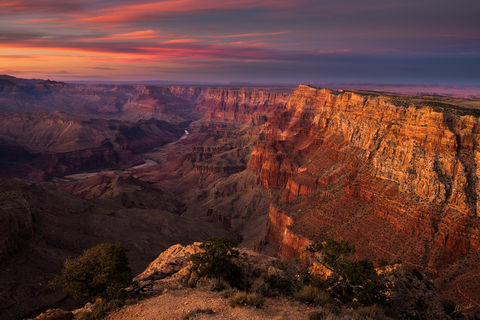 Weather permitting there will be an opportunity to capture the full moon rising over the canyon as the sun sets, and to capture the full moon setting as the sun rises. The size of this workshop is being limited to no more than 8 participants to ensure that everyone receives one-on-one instruction. My private workshops are customized to your schedule and photographic needs. I will develop a program that ensures that you get the most out of your time at the Grand Canyon while furthering your photographic knowledge. Open to individuals looking for a 1-on-1, and small groups of friends, family, and camera clubs. 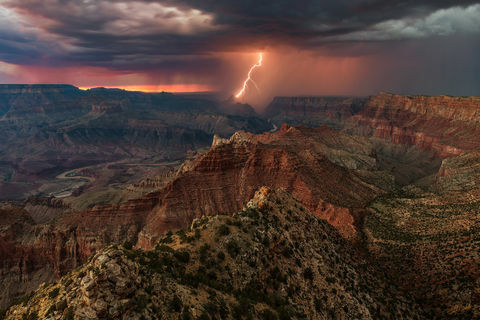 This Grand Canyon photography workshop takes place during the summer monsoon season. Thunderstorms are common and often create dynamic skies along with the potential to photograph rainbows and lightning. 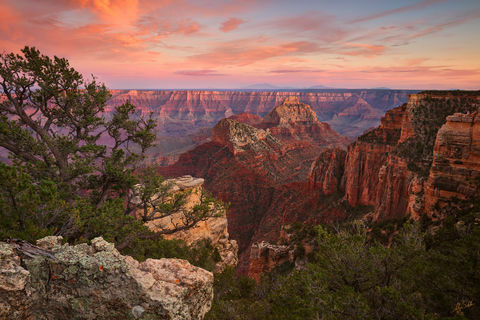 Experience Grand Canyon as it comes to life in an ever-changing palette of light and color! 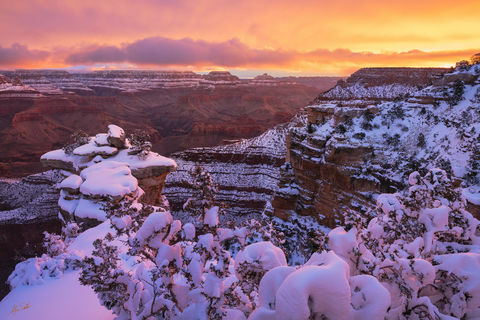 With the change of seasons comes a more peaceful and quiet time at the Grand Canyon. Winter brings a chance of snow and low-hanging ragged clouds. The days are shorter, and the park is relatively calm and quite making for a much more serene experience. 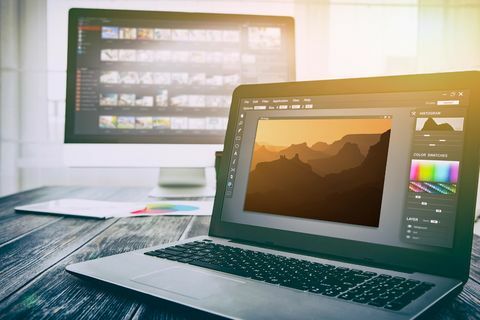 Take your photos to the next level by taking control of the powerful tools in Lightroom and Photoshop. 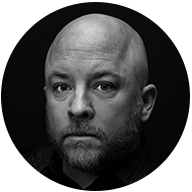 Learn about local adjustments, curves, color grading, sharpening, selective saturation, luminosity masking, and so much more. If you're getting ready for one of my workshops, be sure to take a look at my Grand Canyon Camera Gear Guide page.